Are you looking for inspiration on how to teach children to ‘be bright be seen’? We have put together some activity ideas to help get the message across in a fun creative way. We also help out with resource ideas for the activities – some can be purchased from us, some can be found in most classrooms and some are using upcycled high vis items which you may already have. An old high vis jacket can be cut up for collages and ‘be bright be seen’ displays… one or two jackets will go a long way and even if you need to purchase them, it is a very low cost per child! Fluorescent or neon paper (available from good stationers) can be used in many activities. If you don’t have reflectors in your class, ask pupils to bring in any they have so you can use them for activities. 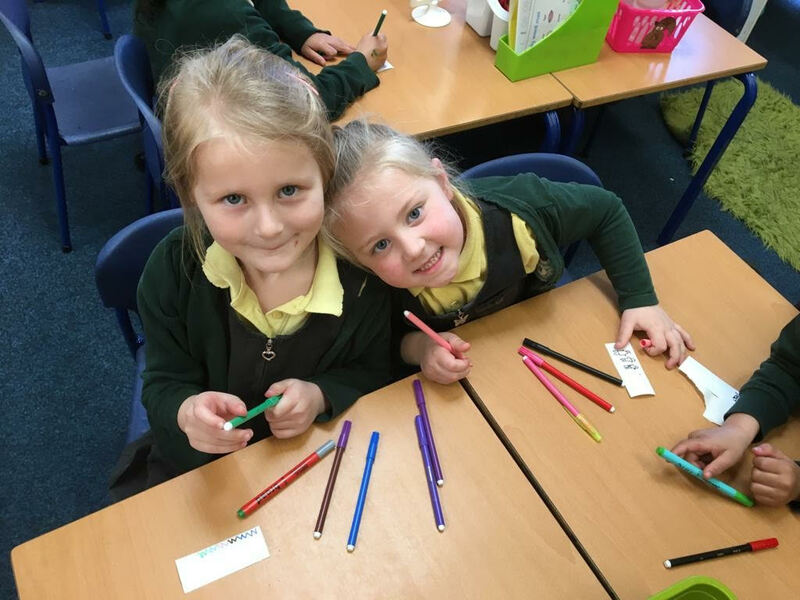 Some creative resources we offer which you may find useful include: Highlighter pens, blank fluorescent stickers and reflective stick on squares. Our Mini High Vis Craft Pack is designed for individual children or families who want to get creative. Most of the activities here are suitable for primary school age pupils but we also feature some ideas for pre-schools or secondary schools. We would love to feature more ideas so please let us know how you get on. Please share your ideas on social media too (tag us @brightkidz for twitter or brightkidzuk on Instagram). What’s the Difference – Fluorescent or Reflective? Playgrounds, dark cupboards, lego men and teddies all feature in these activity ideas. Sticker Sessions – Create designs for fluorescent stickers for school bags. Make Your Own High Vis Tags – Then test them with a ‘black box’ experiment. Brighten Your Bag – Hold a competition to make a bag really bright for day and night. Shining Bright with South End Infants! Armed with off-cuts of material, various hangers and sticky labels, the mission was to have the children create their own reflective tag to hang from coats, bags or jumpers! 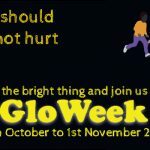 GloWeek 2019 is organised by the Child Brain Injury Trust to raise awareness about the importance of being bright and seen once the clocks change.